Learn how to protect your lawn from winter salt. There are three things you can always count on in this area in winter: freezing temperatures, icy conditions, and road salt. All that winter salt helps make our roads and sidewalks safer, but it can cause serious issues for your lawn and plants. 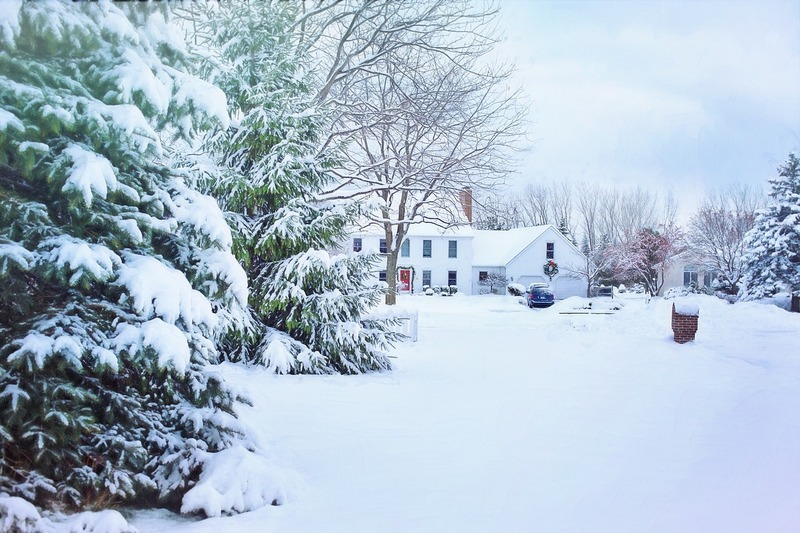 Thankfully, there are a few things you can do to protect your landscaping during this snowy time. There are three main types of winter salt in use for roads and sidewalks. NaCl, or sodium chloride, is better known as rock salt, and it is widely available and fairly inexpensive. Rock salt works best between 15-20 degrees F, but over time it can damage grass, plants, and hardscaping. CaCl2, or calcium chloride, is safer on plants but will damage hardscaping. It works best below 0 degrees F. Finally, MgCl2, or magnesium chloride, is a sub-zero de-icer that is completely safe for plants, but can ruin hardscaping. It is also the most expensive of the three products. Winter salt can damage plants and grass when it seeps into the soil because it pulls the water away from the roots. The chloride can also enter the plants through the roots and travel to the leaves where it interferes with photosynthesis. Finally, salt can also cover the leaves and stems when it is sprayed into the plants by passing traffic. Salt can damage hardscaping by promoting a freeze-thaw cycle and by remaining on the surface after the water dries. The best thing you can do to prevent damage from winter salt is to limit your use of it. Don’t use more than you need for safety and only de-ice the areas you really have to. Try not to de-ice close to the grass line or plants. Next, rinse off any salt that does get on plants or hardscaping once the temperature goes above freezing. If the temperature stays low, you can wipe or brush the salt off the plants and sweep it up from walkways- but never onto the grass. Make sure that your lawn, driveway, and sidewalks are graded so that excess water doesn’t run into the grass or areas with lots of plants. If salt spray from a nearby road is the issue, consider installing a snow fence to protect your plants. Finally, if possible, consider alternative deicers like kitty litter and sand. This entry was posted on Friday, January 25th, 2019 at 2:28 pm. Both comments and pings are currently closed.